Money, apparently, makes the world go round, and nowhere is filthy lucre more celebrated and chased than on New York’s famous Wall Street, where the world spins at a faster pace than anywhere else. For an authentic taste of life in the financial district, hook up with real insiders like ‘Andrew’ – a trading-trapeze-artist-turned-tour-guide, who went from being a professional blackjack player good enough to be banned from Vegas casinos to vice president of Deutsche Bank – on a tour with the Wall Street Experience. According to the BBC, in a quote proudly emblazoned on the tour group’s website, Andrew “collateralised debt obligations until the market collapsed”. We don’t even know what that means, but we’re not going to lend him our lunch money just in case. The tour takes you deep into the murky machine of Wall Street, and Andrew regales you with tales from the trenches, the goriest of which pertain to the times when the world stopped spinning and the sky fell in. 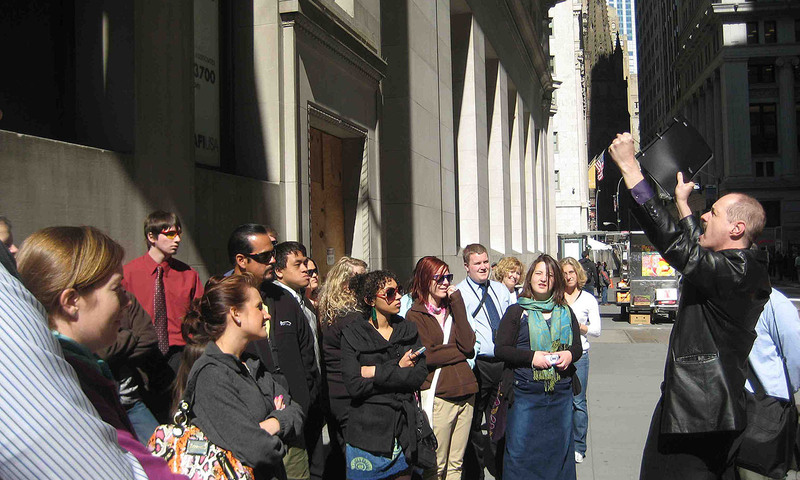 The two-hour Financial Crisis Tour costs US$50, and doesn’t include lunch, which is for wimps.